Every degree program is Biblically focused and academically sound, equipping each student to serve the Lord in the area of their ministry calling. Students of C.T.U. are ministering throughout the United States and around the world. Our aim is to help each student accomplish their goals within God's will for their life. Our College division offers both Associate and Bachelor Degree programs. Each Degree program offers a variety of focus concentrations in Christian Counseling, Religious Education, Evangelism, Missions, Biblical Studies and Pastoral Ministries. There are six areas of concentration for the MA Degree as well as the MDiv Degree programs. Our ThM Degree provides some of the finest programs of study anywhere in the world. The ThM Degree has a concentration on the Biblical Languages and Theology. Our four Doctorate Degree programs are distinctively unique in that each program is designed to meet the unique gifts and talents for the Lord's work to be carried out effectively in our world of sin and indifference. You are invited to call, write, or email for your full informational enrollment packet and evaluation. The tuition and cost are kept at an affordable level for you as a student of the Word of God. Please call, write, visit our website at conservative.edu or email info@conservative.edu for complete tuition cost, and enrollment packet information. Note: Programs Cost includes required textbooks, tuition, and graduation fees. **Programs DO NOT include textbooks and graduation fees. All Degree Programs can be financed through Conservative Theological University's Universal Tuition Budget Plan. Every Student is approved based upon ability and financial contract with up to 48 months for repayment. Student admission is based on academic ability and testimony of faith in Jesus Christ. No student meeting admissions requirements will be refused because of race, color, nationality, or ethnic origin. 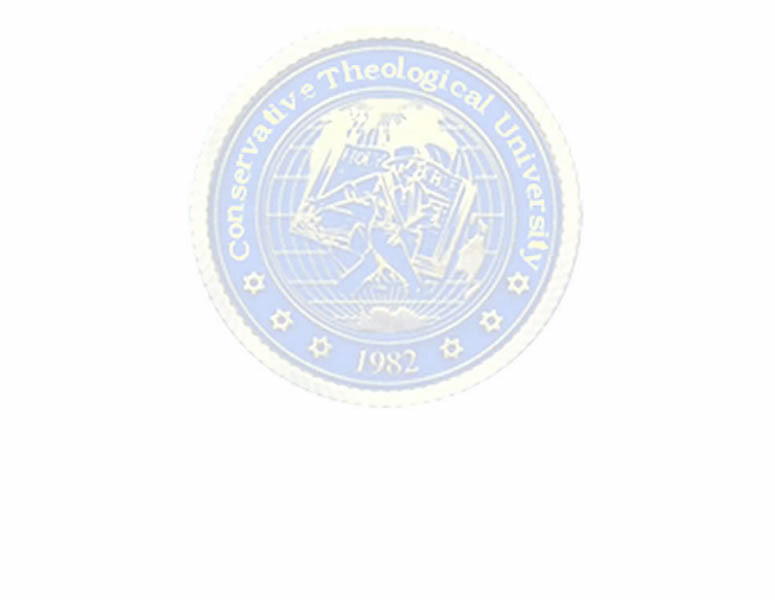 Conservative Theological University is certified by the Florida Council of Private Colleges, and approved by the Council of Private Colleges of America.